Thanks to modern technology, the internet and other online services have changed the way people sell their properties, and have certainly made the entire process more streamlined. This includes the MLS which stands for Multiple Listing Service. The MLS was created by realtors to make real estate transactions more efficient and centralized. 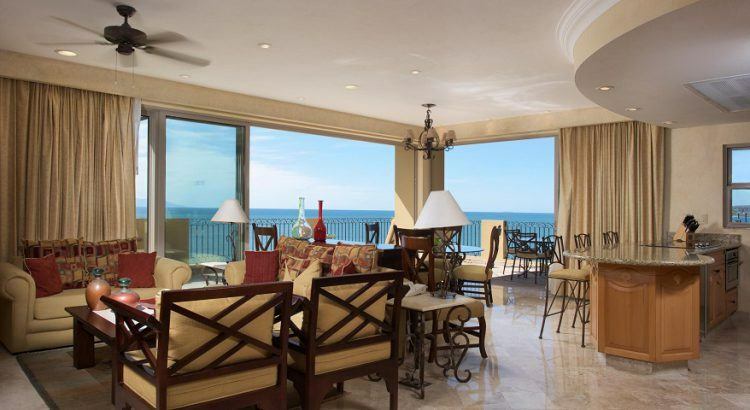 Finding Mexico real estate with the MLS is an easier way to buy or sell properties as it is a collaboration between listing brokers and buying agent brokers so that they can share information on many properties available. Villa La Estancia is an excellent real estate option you can find on the MLS in Mexico. Villa La Estancia is an award-winning property with luxury villas that are available for full and fractional ownership. The MLS is a great tool for finding Mexico real estate for buyers and brokers alike because the increased exposure will generally result in a faster turn around for helping their clients find and sell properties. Being able to access a large amount of information in one site can allow agents and buyers to quickly find the type of property they are looking for. You are able to streamline your search to only include specific features that matter to you. At Villa La Estancia, there is a wide range of properties available so you can choose the number of bedrooms and baths that will fit your needs best. We have locations in both Cabo and Riviera Nayarit, so you can narrow down which location you prefer. With a wide range of amenities and services, owning full or fractional real estate at Villa La Estancia is an ideal choice for those who want to truly relax on their vacations, while still making financial intelligent and viable decisions. Finding Mexico real estate at Villa La Estancia with the MLS makes the business of purchasing in another country so much easier. Before the MLS, each brokers had their own separate systems for real estate transactions, so the MLS links brokerages into one, streamlined system that all agents can use. Thanks to the internet it is even easier for buyers and agents to view property information in one site, which makes the sharing of information much more efficient. Although it is a shared tool for selling Mexico real estate, MLS’s are actually private databases created by separate real estate professionals. They also maintain and update the information on their own MLS anytime a new property is listed or sold which is then linked with all the other MLS sites available. As a result, any potential buyer or seller can choose their preferred broker knowing they will have access to a large, more complete inventory of properties. Villa La Estancia is a top real estate investment property with locations in both Cabo and Riviera Nayarit. Villa La Estancia is perfect for those want a real estate investment, but enjoy the low-maintenance of fractional ownership versus a private home. In addition to listing Mexico real estate with the MLS, the majority of realtors also have their own websites and sometimes list their properties on other real estate websites as well such as Zillow or Realtor.com. According to the National Association of Realtors, more than half of recent buyers used MLS websites in their home search. So whatever broker you choose to assist you in finding or selling Mexico real estate with the MLS, it is a great tool that will make the process simpler and hopefully more efficient. This will hopefully result in more time to enjoy your new property at Villa La Estancia, instead of spending excessive time trying to buy or sell your property. Have you listed your home or Mexico real estate with the MLS? What are some of the best parts of the service that facilitated your search or real estate transaction? Find paradise at Villa La Estancia Cabo San Lucas!